Traditionally, cornerstone sales meetings, including the SKO, were like a classroom, where members of the sales team sat lecture-style while a speaker presented at the front of the room. These sessions happened one after the other for the entirety of the days-long event. In general, salespeople are notorious talkers, so it’s no surprise their focus started to falter after hours of listening to these training sessions. In fact, studies have shown that people forget 80% of what they learn from curriculum-based training in just 90 days. To hold reps’ attention and ensure the SKO is unforgettable, you’ve got to go beyond the traditional lecture-based sessions and provide a more engaging experience. For your SKO to have an impact, your reps need to connect with the materials you are presenting and retain information long after the kickoff ends. Content, content, content. In order to get the right information across, create compelling content surrounding topics that will guide the sessions and allow reps to review after the fact. Having a visual companion will give sellers the opportunity to follow along and hold their attention. SKO is also the ideal time for marketing to introduce new client-facing sales collateral, such as sales decks, product overviews and upcoming campaigns. Since the sales team will be leveraging these materials, giving context and use cases for each piece and allowing reps to ask questions will increase the likelihood of them using the content — in the correct way — over the course of the year. Reserve only the most important content that serves your goal for the kickoff. For topics that aren’t as pivotal to the SKO, distribute relevant content to be reviewed and completed before the event. You can train reps on housekeeping items like logging expenses or a new project management program and certify the knowledge as a prerequisite for SKO. Switch up session formats. To ensure sellers are following along with all the important content you plan to teach them, experiment with a variety of setups. While some classroom-style presentations are OK, mix them with time for networking, collaboration and sharing best practices. Split the team into groups to problem solve or discuss a specific issue, with each group presenting their solution. If possible, bring a client in to discuss their experience with your organization and any employees they interacted with in their journey to becoming a customer. Giving a unique first-hand account of the customer point of view is invaluable for a salesperson. Finally, don’t forget to include breaks every couple of hours in the SKO agenda; leave 15 to 20 minutes for reps to get up and stretch their legs, use the restroom, grab a drink or snack, and ultimately give their brain a brief rest. Give back to sellers. Your sales team dedicates significant time and energy to do their best work for you every day; use your SKO as an opportunity to show your appreciation. There are various ways to do so; the first being to acknowledge individual and team achievements from the last year. People love to be recognized, and your show of gratitude will make them feel valued. After sitting in sessions all day, organize dinners or outings as a way to give reps the opportunity to loosen up a bit and bond. Depending on the location you choose for the kickoff, you can see a sporting event or show, go to a cooking class, hold a scavenger hunt; the options are endless. Whatever you choose, it should advocate for building team connections. Finally, provide some swag items that play into the theme, content and/or location of the SKO. Branded pens, notebooks and flash drives are helpful for note taking, and sweatshirts or T-shirts make a great gift for sellers while letting them represent your brand. Get your reps pumped up for a prosperous and rewarding year by holding an SKO that pays off for all involved. By keeping your sales team engaged, they will have a better understanding of future expectations and will be more inclined to perform at their best. 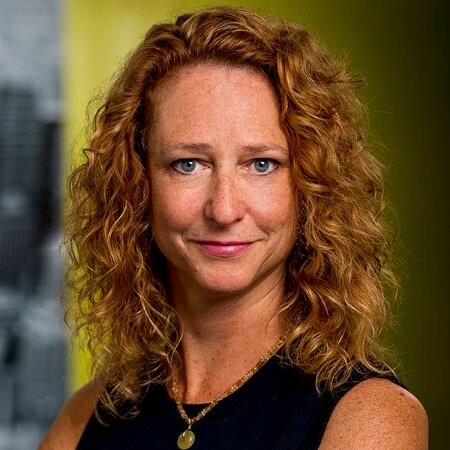 Theresa O’Neil is the VP of Marketing at Showpad, a sales enablement and marketing platform. With 20+ years of experience in software strategy, marketing, sales and business development, O’Neil has led marketing strategies that have grown an 11-person start-up to a $1B powerhouse and positioned two other software companies for successful acquisition.